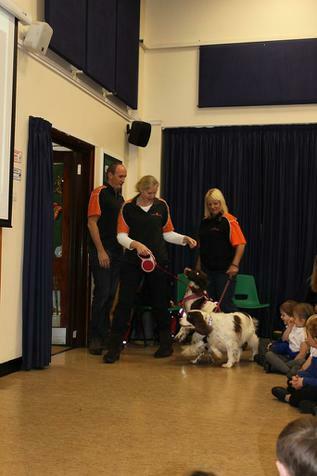 Recently the Dorset Search Dogs team visited us for an assembly at the school. 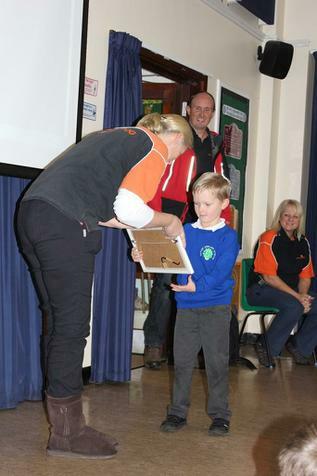 They are our chosen School Charity of the year and as part of this process they organised a competition to design a car sticker. 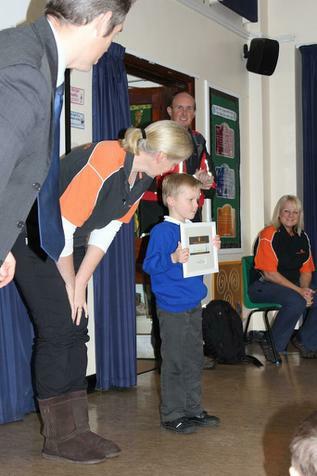 Finlay in Year Two was the winner and he was presented with a framed copy of his design. 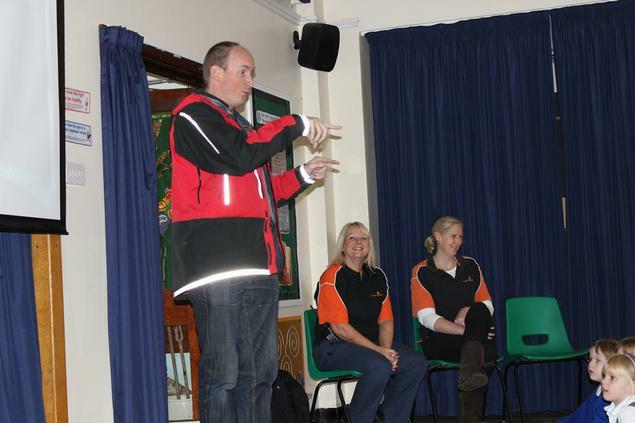 This year we have has an Indian Festival, the Great Upton Bake Off and an Art Show to help raise money to buy equipment such as torches and radios which are used when the team search, alongside the police, for missing people.